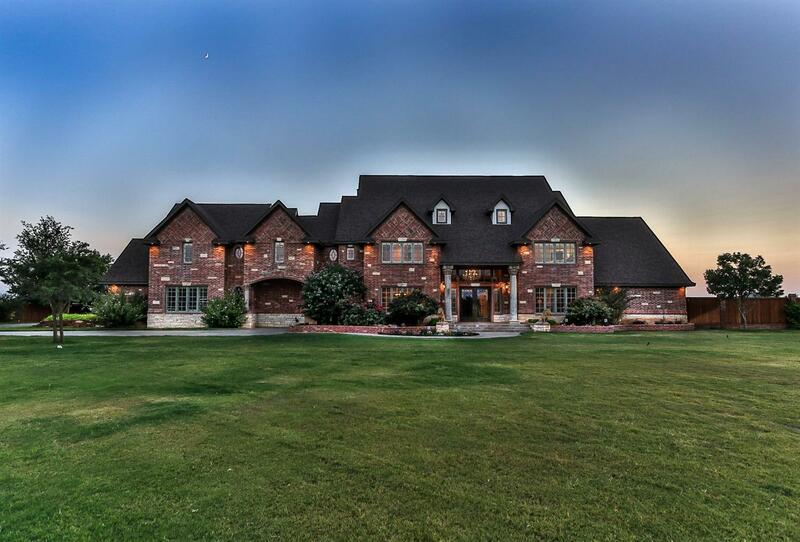 Drive into this Timeless European/Country French Estate and its 2.7 acres of immaculate grounds. Enter the Ornate Iron Doors to a Beautiful Foyer, Lovely Staircase & Catwalk! Luxuries include Oversized Crown Molding, Solid Wood 8' doors, Special Ceilings, Custom Details, Radiant Heated Floors throughout Level One! Massive Family Room! Kitchen boast NEW Comm Appliances & Walk-in 9' Pantry! Caterers Kitchen, Glass 4 Door Fridge Laundry Room w/ dbl Washer/Dryer + MORE! Saloon Style Theater in Basement. LG Master Suite/Bath leads to AMAZING 2 STORY CLOSET/SAFE ROOM (35 x14) w/ His & Her Dressing Areas, Lighted Shoe Shelves, Sitting Area Upstairs & Down filled w/ Storage for everything! 2nd, 3rd & 4th BR & Gameroom on 2nd Floor, while 3rd Floor is Immense w/ Endless Possibilities! Exquisite Landscape encompasses Beautiful Patios, Beach Front 8' Pool, Pergola, Fireplace, Arbor, Gazebo, Batting Cage, 800' Cabana w/ Comm Kitchen, Fireplace, Game Rm & Bath! 2400' Shop w/ 14' RV Doors & MORE! Other Beds/Bath Cmts: Gameroom will divide to 5th BR Easily!! !